CineVic’s annual Short Circuit: Pacific Rim Film Festival is going on tour! 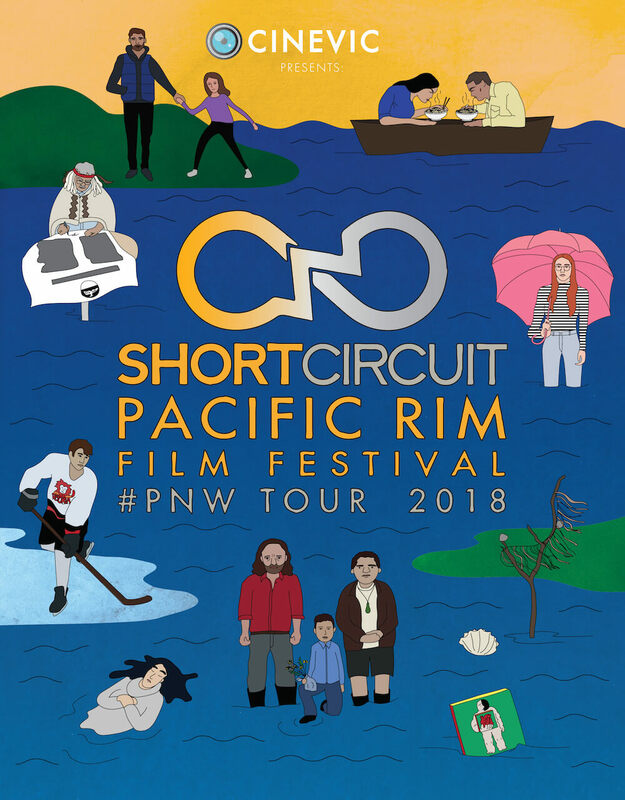 Over the month of November we will be taking a collection of short films, curated from past Short Circuit festivals, on a tour through our the Pacific North West! Tour stops will include: Dawson City (YK), Tofino (BC), Vancouver (BC), Portland (OR), Nanaimo (BC), Juneau (AK), Salt Spring Island (BC), and Seattle (WA)! Short Circuit, the only Pacific Rim film festival in the world, is presented annually by CineVic Society of Independent Filmmakers on Lekwungen Territory in Victoria, BC, Canada. We screen work from over 30 countries around the world, and this year we’re going back to our #PNW roots. This first-ever tour showcases a diversity of artists with nine exceptional short films that highlight regional intersections across land, air, water, and people.